ANTIBES, ALPS MARITIMES/FRANCE - APRIL 29, 2015: Fort Carre in Port Vauban harbour and marina. 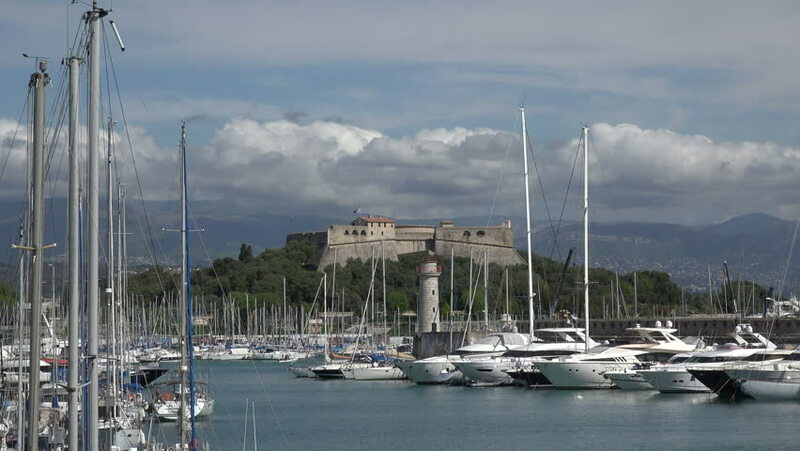 Port Vauban is the largest yachting harbour in Europe. hd00:25SAUSALITO - OCT 6, 2016: Zooming Out From Boats Docked At The Yacht Club In San Francisco Bay Area, California. Sausalito is a San Francisco Bay Area city in Marin County.